I love Barry M Nail Paints and so I had to pick up the Limited Edition Blue Foil they released exclusively at Superdrug this year. I created this nail art around this polish, I think it's a lovely, wintery look without being tacky or specifically Christmassy - perfect if you don't celebrate Christmas or you just want something a little more toned down than full-on reindeers and Santas on your nails. I started with two coats of the blue foil on my ring fingers, and three coats of Barry M's 'Blue Moon' on my other nails. I love 'Blue Moon' and it's a perfect creamy, icy blue but it is very sheer so three coats is the bear minimum really. Then, using a pot of blue glitter (mine is from Poundland and came in a set of four! 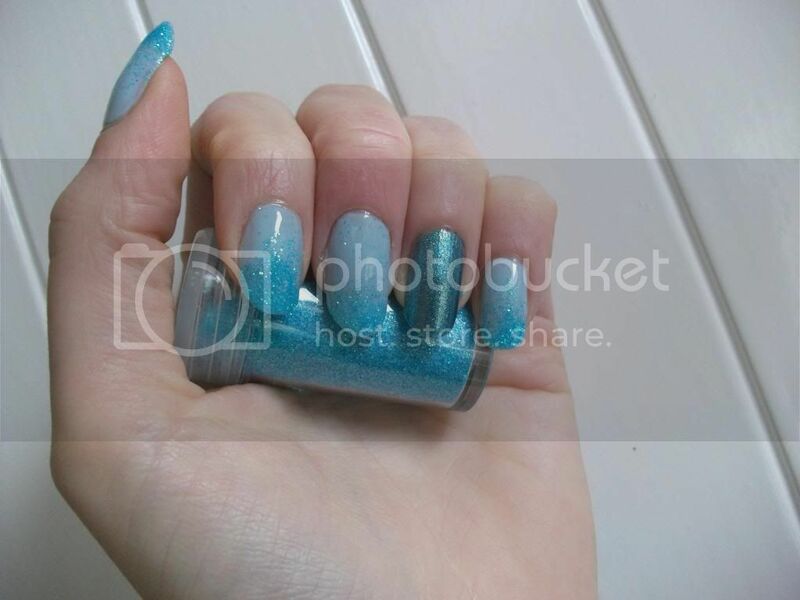 ), I painted a wavy line of clear nail polish on the tip of the Blue Moon nails, before dipping into the glitter and finishing off with a coat or two of top coat. I found it best to do this step one nail at a time so as not to end up with glitter quite everywhere - it can get quite messy though! It's also a good idea to do this on a sheet of paper so that once you're done, you can fold it in half and use it to pour all the excess back into the pot for next time. What do you think? 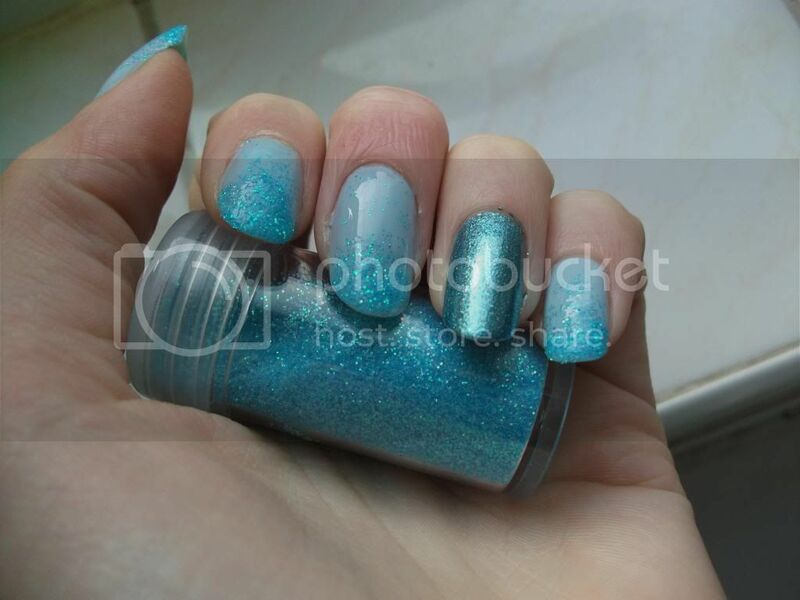 You could equally use white or silver glitter, or swap it for a loose pigment such as Barry M's Dazzle Dusts. Have you been doing any Christmassy or Wintery nail art? Looks good. Very frosty and icy and cold looking lol! 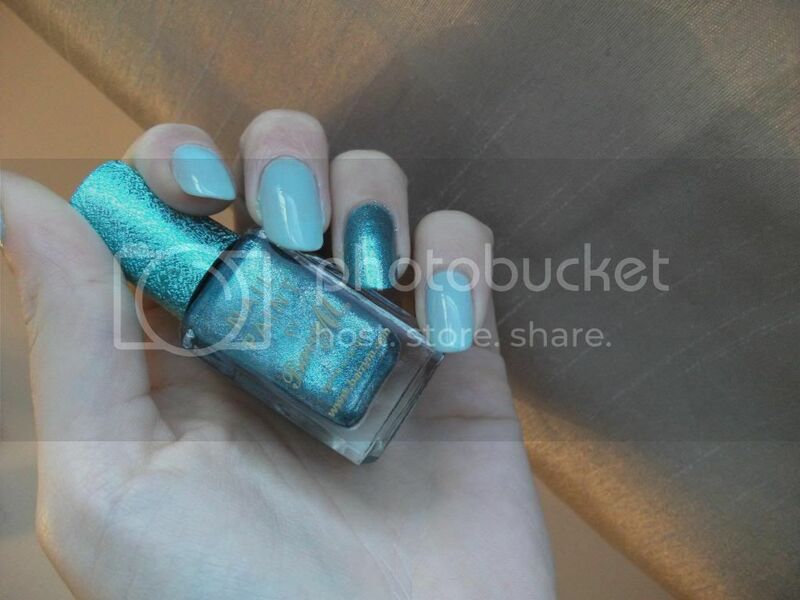 I've liked the Barry M limited editions, but never wanted to buy anything to get them free! Your nails look so pretty - perfect for this wintery, icy time of year! :-) And I agree with your last comment - this look would definitely be great in white/silver too! Woooow ammazing i have to get my hands on these soooo beautiful!! These look incredible, they're such a good idea for toned down christmas nails :) Blue nail polish is my favourite at the moment!